When it comes to Christmas treats cookies rule in the baker’s kitchen but nuts have always been on the festive food list. 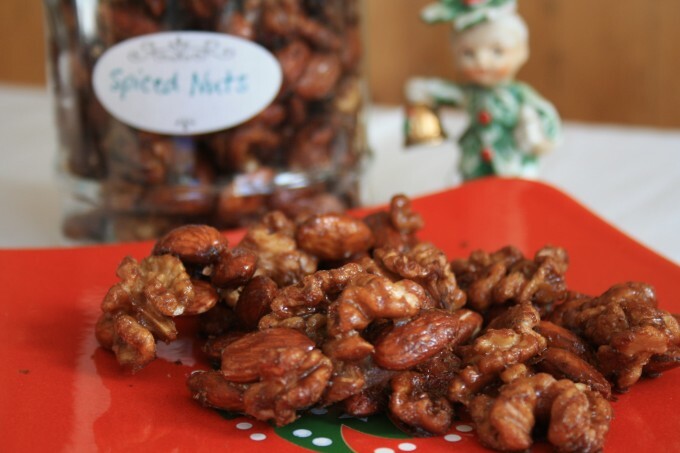 In fact, I’m sure that gathering nuts for Christmas treats is a much older tradition than baking cookies. When I was growing up there were always bowls of nuts around the house at Christmastime. They were still in the shell so you had to work for your snack. The almonds were easy, the Brazil nuts practically impossible for little hands. I loved how bowls of nuts in the shell were so ornamental, like little pieces of beautifully carved wood. 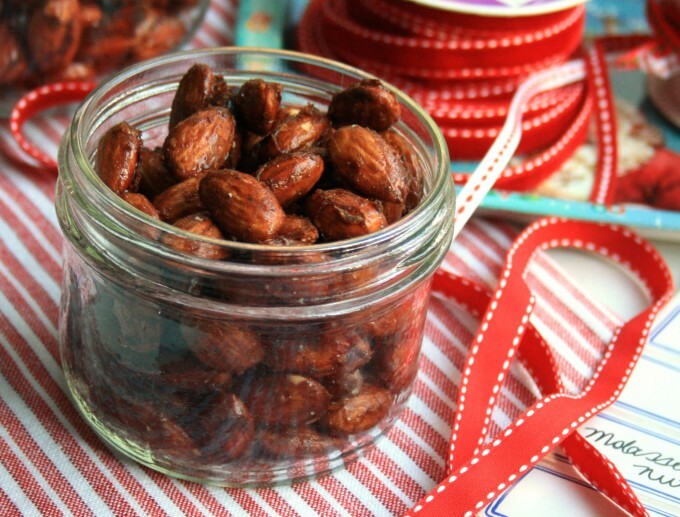 If you’re in search of something quick, easy, and a little different for your holiday baking routine why not consider roasting nuts. They’re a delicious and easy holiday treat, something you can give as gifts and a tasty, festive snack to have on hand when visitors drop by. 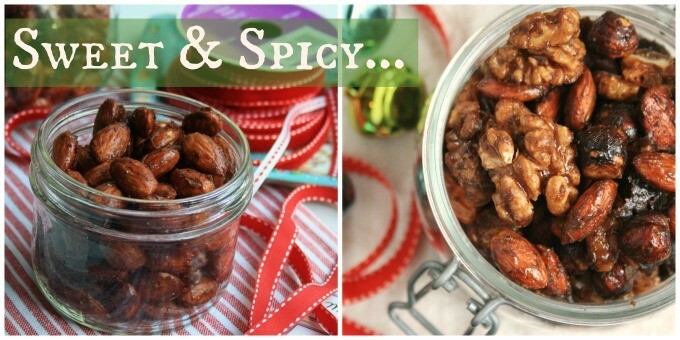 Here are two spiced candied nuts recipes that I make every year. 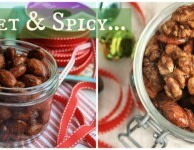 The Gingerbread Spiced Almonds recipe is a relatively new discovery while the Five-Spice Candied Nuts recipe has been in my family for almost 20 years.